I would like to thank the author for sending me a copy of this book in return for an honest review. 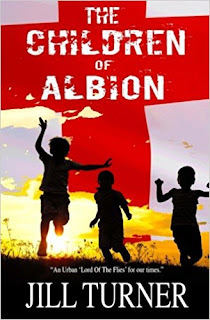 The Children of Albion is a very unique book with the story being told from the point of view of a child called Robbie, who has seriously been let down by society. Robbie is being brought up in an estate that is seeing children being neglected by their parents, many of whom are heavily involved with drugs and alcohol. In a life where there is no real discipline for the children and they are allowed to run feral, there is no real place for the children to go, with their only option being to follow in the footsteps of their parents. Sometimes, Robbie needs to get away from it all and has a hideout in an old abandoned house, where he often goes to spend some time alone, but one day when he arrives in his hiding place, Robbie soon finds that he is not alone and this is where he meets Albion, who is a middle class drop out, also looking for a place to hideout in. When the two meet, an unlikely friendship is struck up between the two and soon they have dreams of setting up a refuge for the children from the estate that Robbie is growing up on, that society seems to have forgotten about. By doing this Albie and Robbie set out to make a better future for the children of the estate by allowing them to grow up in a better environment. The Children of Albion is a unique read that will appeal to both young readers and adults alike. It shows how children can find ways to survive in the worst situations. This book doesn't try to cover up the sad and destructive way that some children have to live and acts as a huge eyeopener to the fact that there are children who have to live in situations like this in some places all over the world, which is extremely upsetting to think about, but is reality all the same. As well as being a huge eyeopener, this story also focuses in friendship, with this being the main theme running through the story, focusing mainly on the friendship that has been struck up by Albie and Robbie, but with some other friendships also thrown in along the way, especially towards the end. The characters in this book are so relatable and I was really rooting for them the whole way through the book. Their stories are real and really make you think about how others have to live their lives. As someone who has worked in childcare in the past, I found the some of the topics that were covered in the book very interesting. I couldn't put this book and read it cover to cover in one sitting, which is very rare for me these days. 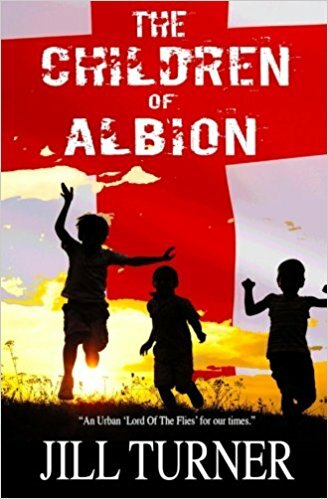 The Children of Albion is a story that focuses on friendship and society and how society had failed so many children in the past. This book could have taken place anywhere in the world, because it is clear that there are people with stories similar to this one living in every country all over the world. What I loved the most about this book is how two people came together in order to change the future for others and I found it to be a very powerful story. You won't be disappointed if you read this one and I have a feeling that when you do read it, the story will stay with you for a very long time to come.